If your mountain biking gear budget has been stretched thin and you’re tempted to skimp on the helmet, don’t. Skip that extra bit of carbon instead. It’s true, mountain bike helmet prices are creeping up, but we find little reason to complain. For hurtling over rocks and dodging trees, spending a little extra on a good lid is a sound investment. Fit and retention systems continue to improve, and safety advances like the Multi-Directional Impact Protection System (MIPS) aim to reduce the chances of a serious injury. For a breakdown of these important considerations, check out our comparison table and buying advice. 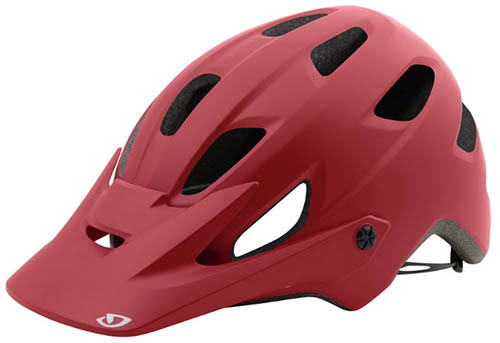 Below are our top mountain bike helmets of 2019. What we like: Safety, comfort, and performance at a great price. What we don’t: Small step down in ventilation and liner quality. 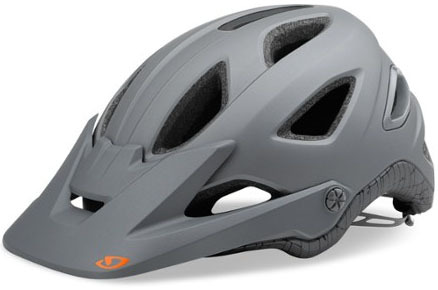 Giro’s Chronicle nabs our top spot for 2019 by proving you don’t have to spend a ton to get a safe, comfortable, and lightweight mountain biking helmet. Drawing heavily from the Montaro MIPS below, the Chronicle nearly matches that helmet’s performance but at a significant $50 discount. You get fantastic coverage for all-mountain riding, a MIPS liner, and plenty of padding and decent ventilation for long days over variable terrain. Moreover, the helmet has features typically found on more expensive models: the visor is large enough to shield the sun but also adjusts to accommodate goggles, and the fit system is secure and easy to use even with gloves on (don’t let its small diameter fool you). Overall, the Chronicle delivers what the majority of riders need at a good price. The Chronicle’s value is what makes it so appealing, but there are a few small design compromises. For one, the padding on the interior feels a bit plasticky compared to a premium option like the Troy Lee Designs A2 below, and in theory is a little less absorbent (in use, we’ve found it stacks up well to the A2 and others). You also get smaller vents and fewer of them than some of the high-end models on this list. But wearing the Chronicle back-to-back with helmets that cost nearly twice as much doesn’t reveal any significant differences. The impressive all-around performance at a discount is what makes the Chronicle our favorite mountain biking helmet. What we like: Premium build and a very comfortable fit. What we don’t: Pricey and limited visor adjustability. Building on the successful and popular A1, the Troy Lee Designs A2 retains that helmet’s high levels of comfort with a few notable upgrades. To start, ventilation is improved with wide channels at the front and expansive openings at the back. Also, the A2’s safety suite has been modernized, making it a great match for aggressive bikers. The helmet uses an innovative design with 2 types of foam: EPS, which is found in most bike helmets for absorbing impacts at high speed, and tough EPP for low speed crashes. Along with a MIPS liner and breakaway hardware on the visor, the A2 is built for techy climbs and rowdy descents. In terms of fit, we found that the A2 has a deep, wide, and very adjustable interior that was a favorite among our group of testers. Comfort is near the top of the pack with a minimalist but smart design with thick padding around the forehead. One issue we ran into was that the lack of padding along the top of the helmet resulted in sweat collecting along the MIPS liner and occasionally running down the front of our heads. This was only a problem on extended climbs in the heat, however, and likely won’t affect most riders. And the visor doesn’t slide high enough to fit a goggle, an unfortunate downside at this steep price. Nitpicks aside, for serious trail and enduro riders, we think the A2's premium build and performance are worth the extra cash. What we like: Premium safety features with a budget price. What we don’t: Only made in one size. 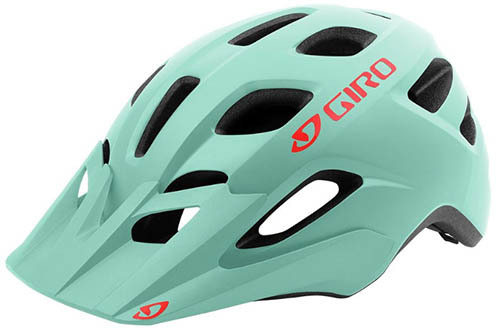 Giro’s Fixture is our top budget helmet, combining MIPS technology and modern styling at a price that significantly undercuts the picks above. For $55, you get the aforementioned slip plane liner, surprisingly good ventilation from 18 total openings, and Giro’s well-respected Roc Loc twist fit adjuster. 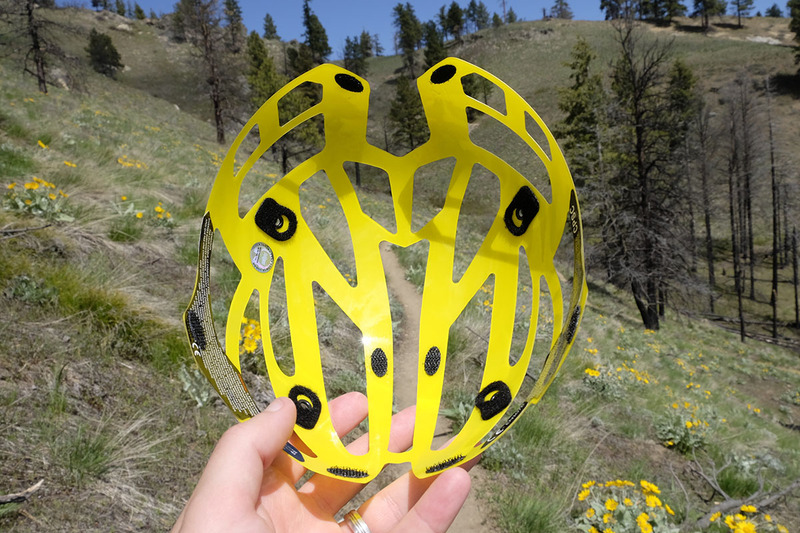 Further, the helmet provides decent coverage along the back of the head, and its lightweight in-mold construction makes it a nice pairing for XC-style trails. All told, the Fixture is a solid option for those just getting into the sport or riders that stick mostly to non-technical terrain. As with any budget product, the Giro Fixture has a few shortcomings when compared with premium models. To start, the padding along the interior is a step down in quality from the Chronicle above, and the visor isn’t adjustable. Further, there is only a single size offered, which can cause problems getting a snug and comfortable fit. That said, Giro also makes the Compound MIPS, which is identical to the Fixutre but comes only in an XL size (between 61cm to 65cm in circumference). 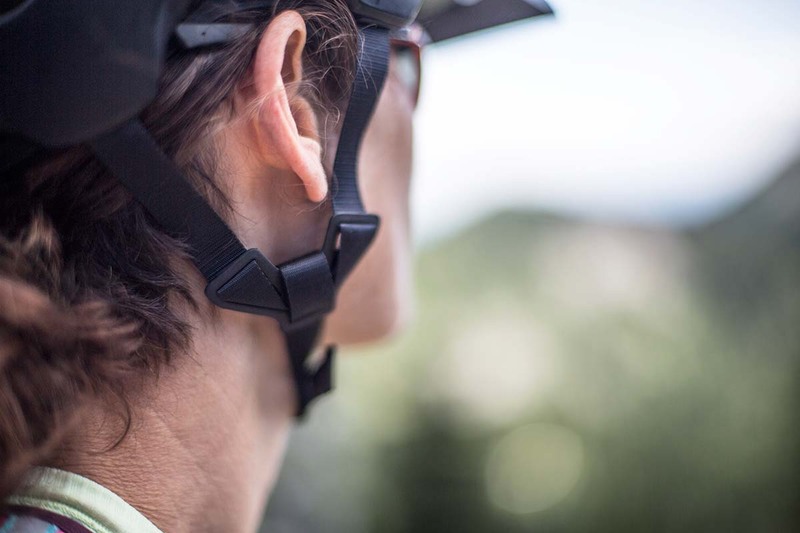 And it’s worth noting that the Fixture is a unisex design, but Giro offers a smaller, women’s-specific version for the same price: the Verce MIPS. What we like: Excellent ventilation and low weight. What we don’t: Extremely expensive. For a long, hilly days in the saddle, a lightweight and well-ventilating helmet is a priority. And among the numerous options on the market, POC’s Octal X SPIN is a standout. Its feathery 9.4-ounce weight, generously-sized 21 vents, and nice touches like a place to store your glasses when not in use check off all the right boxes. In terms of safety, the high-end Octal features POC’s own SPIN technology (similar to MIPS) and includes Aramid reinforcements on the EPS liner for increased protection—features not found on the vast majority of helmets that weigh so little. At $275, the obvious downside with the Octal X SPIN is its very steep price. POC targets the serious rider in general—the $220 Tectal Race below is similarly expensive—and the quality and attention to detail is without a doubt impressive. But its appeal is likely limited to competitive riders that get out a lot and will appreciate the superlight build and aerodynamic shape. For a much more affordable XC alternative, check out Giro’s new $110 Artex MIPS. What we like: Quality construction and a very good price. What we don’t: Prioritizes protection over ventilation. Ride 100% may not be a household name like Fox, Giro, or Troy Lee Designs, but their background in the motorsports industry has given them years of helmet safety experience. 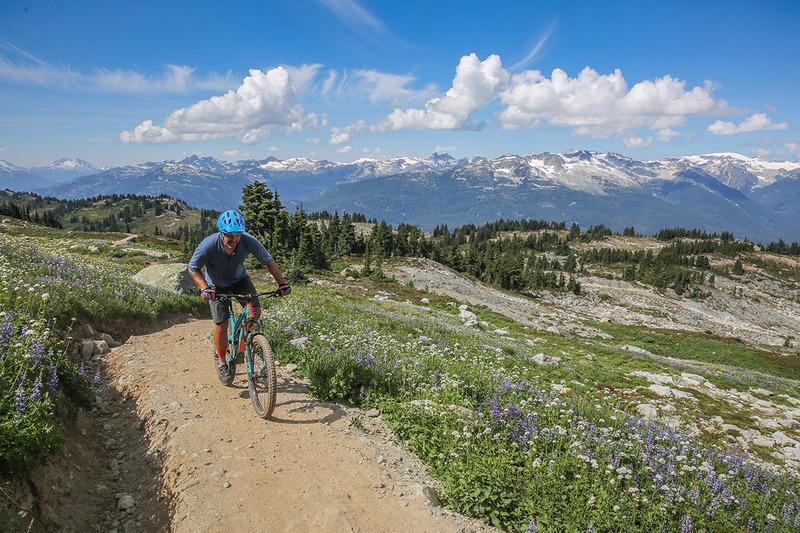 For mountain biking, their Status full-face helmet was released last year and immediately impressed with its reasonable weight, good looks, and affordable price. The fiberglass lid tips the scales at 2 pounds 1.5 ounces, which undercuts popular competitors like the Troy Lee Designs D3 by about 7 ounces, and its supportive padding provides excellent all-around comfort. 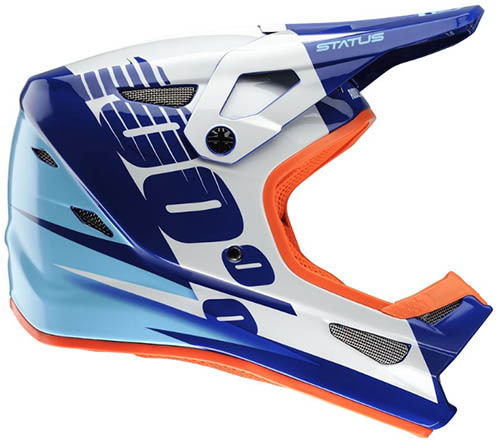 Along with a modern look and a wide range of colorways, the 100% Status is our top choice for downhill riding. Considering its approachable $175 price that beats most of the competition by $50 or more, it’s hard to be disappointed with the Status. But its ventilation system does fall short of hybrid enduro/downhill options like the Troy Lee Designs Stage or Fox Proframe below. 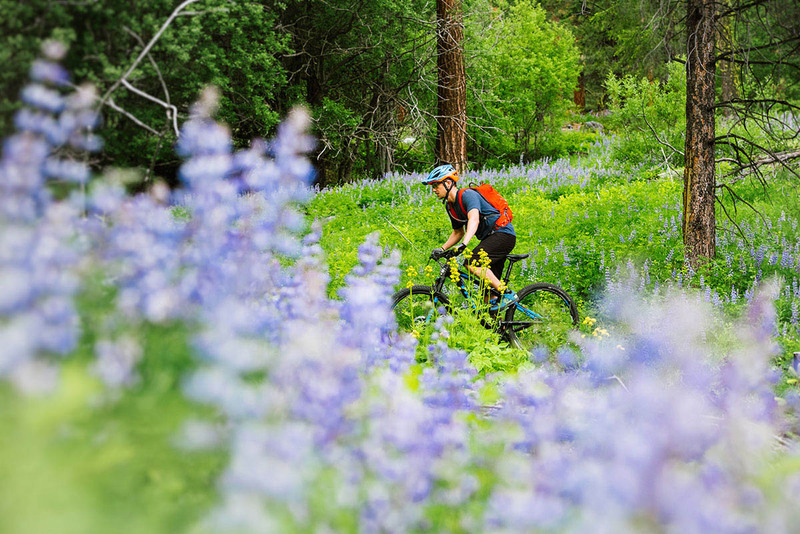 For warm summer riding, even on lift-assisted days, this can lead to a sauna-like effect. That said, it’s the price you pay for complete coverage and protection. If you’re looking for a dedicated downhill lid, the Ride 100% Status is the one we recommend. What we like: Solid mix of performance and price. What we don’t: Not as comfortable as the Chronicle above. Released last year, the 4Forty is Bell's mid-range, all-mountain offering. You don’t get extras like an action camera/light mount and the ventilation is fairly simple, but helmet has solid coverage for aggressive riding, an adjustable visor, a MIPS liner, and clean looks. And we love the price, which is $5 less than the popular Kali Maya below and Giro Chronicle above. If you don’t want or need the extra features that come with a $150 helmet, the 4Forty has serious appeal. How does the 4Forty MIPS stack up against our top-rated Chronicle? The Bell lid is the slightly better performer in hot weather with larger vents and a lower profile MIPS system. Further, its padding overlaps slightly under the brim to keep sweat from dripping in your eyes or glasses. But the Chronicle has a more accommodating interior that’s better cushioned and works well with a wider range of head shapes. We give the slight edge to the Giro in the end, but the 4Forty is a great alternative. And Bell also offers a standard 4Forty helmet for $75 that doesn’t include MIPS. 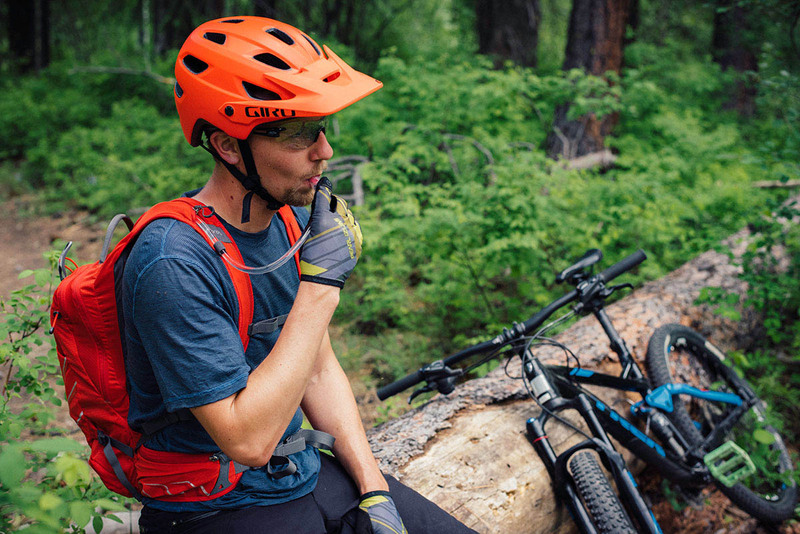 What we like: Another well-made all-mountain helmet. South Africa-based Leatt has earned accolades for their lines of full-face helmets and neck braces, but they’ve jumped into the trail-riding world with the DBX 3.0. Offered in either a standard half shell or convertible full face/half shell like the Giro Switchblade below, the design incorporates Leatt’s proprietary 360° Turbine Technology. Another alternative to MIPS, these 10 small and flexible turbines are distributed throughout the liner. Their aim is to both absorb impact to reduce the risk of concussion and help with rotational energy around the brain. This does make the DBX 3.0 a little bulkier than many MIPS or SPIN helmets, but the difference is minor. 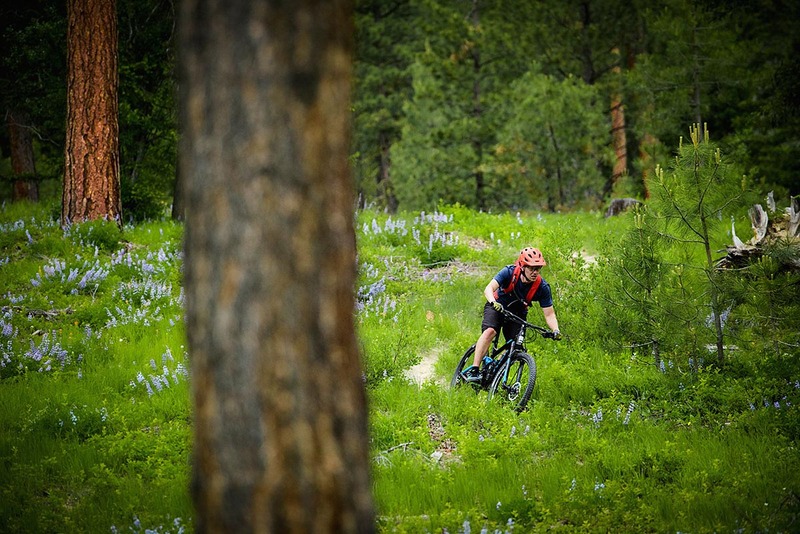 Aside from safety, the rest of the Leatt DBX 3.0 gets high marks. You get a large and adjustable visor (we had no issues fitting a goggle underneath it), a smart ventilation system that even draws air around the brow, and all-day comfort from the deep, cushy interior. The main question is long-term performance: this model just doesn’t have the track record that you get with an option like the Troy Lee Designs A2, Kali Maya, or POC Tectal. But all signs are positive, and the DBX could easily make its way even higher up this list in a future update. What we like: Light, well-ventilated, and great protection. 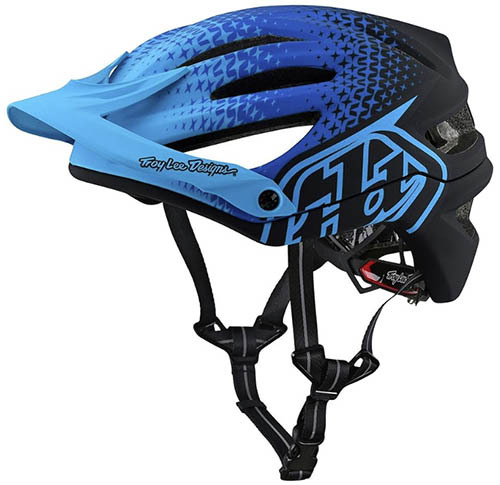 Troy Lee Designs has been in the mountain bike helmet game for a long time, and is known for making very comfortable lids. So it should come as no surprise that their first foray into building a lightweight full-face helmet is pretty darn impressive. Coming in at a scant 24 ounces, the Stage MIPS is one of the lightest certified full-face helmets on the market. And it doesn’t sacrifice in terms of features: 25 well-placed vents maximize airflow, a MIPS liner increases protection, and a magnetic Fidlock system makes buckling quick and easy. If you’re an enduro racer, or someone wanting to upgrade in protection from a standard half shell, we recommend checking out TLD’s Stage MIPS. The Stage packs a lot of the features into a good-looking helmet, but it’s hard to overlook the steep price. At $295, its $45 more than popular competitors like Giro’s Switchblade and Fox’s Proframe below. The good news is that it’s another quality TLD product, and the comfort is class-leading. Further, the Stage MIPS includes extra interior pads to help customize the fit, which factors in to the added cost. In the end, we think the Stage’s well-rounded, premium build justifies the high price tag. What we like: Great protection at a budget-friendly price. What we don’t: Annoying two-piece fit system. As with Ride 100%, Kali doesn’t get the same level of publicity as the big brands, but they’ve put together an impressive line-up of mountain bike helmets. Our favorite is their mid-range Maya 2.0, which is a comfy lid at a competitive $100 price. The Maya has excellent coverage along the sides and back of the head, and its advanced composite foam construction is designed to absorb both low and high-speed impacts. We would prefer more vents for rides in warm weather, but that’s a fairly common issue at this price. For those that bike in cool areas like the forests of the Pacific Northwest or keep your helmet on your pack on extended climbs, the Maya is a great match. Where the Kali Maya falls a little short is its fit system. Breaking from the single twist dial that is nearly synonymous with the premium helmet market—and for a reason—the Maya requires two hands to pinch and adjust at the back. The adjusters do their job and are reasonably good at holding everything in place, but it’s annoying to have to stop and think through the process just to fine-tune the fit (it does get better with time, however). Kali’s focus on protection makes it a good value, and it’s just the finicky closure system that’s keeping it to a mid-pack finish. What we like: Impressive combination of comfort and performance. What we don’t: A little heavier than the competition. 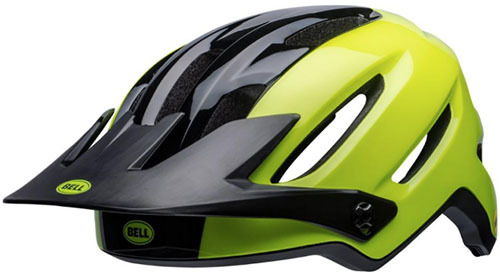 Last year, Bell replaced its popular Super 3 helmet with the Sixer MIPS. And although we were surprised they changed the name after three successful generations, we fully expect that this helmet will quickly gain a similar following. Bell got all the details right with Sixer: the helmet has a modern, low-profile shape that doesn’t look or feel bulky, the padding along the interior is high quality, and a total of 26 well-designed vents keep air flowing around your head. And at $150, the Sixer actually is $5 cheaper than the old Super 3 MIPS. For aggressive riders that get out a lot and want a feature-rich design, the Sixer has a lot of appeal. But it’s heavier than the A2 above and includes extras like an action camera mount that many people don’t need (and we don't love the odd-looking appendage at the top). We think the Giro Chronicle is the better all-around deal at $50 less, but stepping up to the Sixer does get you the latest version of MIPS technology, better ventilation, and nice touches like a rubberized material at the back to keep goggle straps in place. All told, it’s a very good all-mountain lid. What we like: Removable chinbar helps keep you cool on the climb. What we don’t: Very heavy. Giro’s original Switchblade, complete with removable chinbar, first made its debut over two decades ago but never really caught on. In more recent years, as bikes have become more capable and riders push the limits, Giro decided it was time to bring it back. The current model shares the original’s removable chin piece concept, but ties in modern touches like a MIPS liner and superior all-around protection. 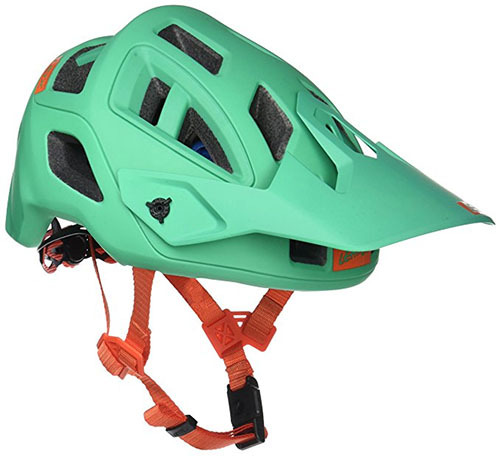 The unique design means the Switchblade is essentially two helmets in one—take the front piece off to stay comfortable for the climb or on tame sections of trail, but snap it into place before dropping into a gnarly descent. The Switchblade is not without its faults, however, and there’s a reason we have TLD’s Stage ranked higher. In full-face mode, we found that the Giro moves slightly forward on the head, which in turn pushed down Giro’s own Blok goggles. This restricted both vision and breathing through the nose—neither of which you want while racing. Further, the Switchblade is quite a bit heavier than the Stage above and Fox’s Proframe below when factoring in the chinbar. That said, if you’re able to get a good fit and the weight isn’t a deterrent, the Switchblade is one of the most versatile helmets available. What we like: Now comes with MIPS; very comfortable. What we don’t: Ventilation falls short of the newer A2. 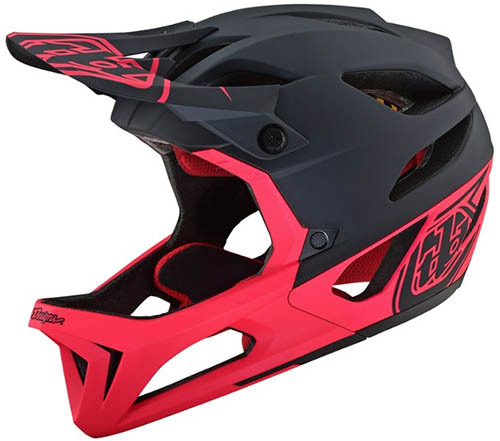 While the A2 above has overtaken the A1 on our list, the original Troy Lee Designs is still one of the best mountain biking helmets on the market. The biggest reason this helmet has been widely lauded is its excellent fit. It’s the kind of helmet that has that just right feel the moment you slip it on, and the large opening and secure closure system is accommodating for most head shapes. It’s less like an appendage and more an extension of you, which is a real boon for long days on the trail. Futhermore, the feature set of the A1, particularly the very soft padding, is on par with far more expensive helmet offerings. The reason there is a Troy Lee Designs A2, however, is that there was some room for improvement with the A1. The primary complaint was its lack of ventilation, and this is still its Achilles heel. And the addition of a MIPS liner in 2017 (this was not available in prior years) only increased the issues with pushing hot air out. But the A1 saves you $30 compared with the new model with no compromise in comfort. And for a true budget option, the non-MIPS A1 is now available for $99. What we like: Innovative safety technology in a great all-around design. What we don’t: Very, very expensive. Still a young brand, POC is at the forefront of helmet safety. A couple years ago, they released their slip plane technology called SPIN, and have since added it to a range of models including their popular Tectal Race. Like MIPS, SPIN is intended to reduce rotational forces on the brain in an angled impact, but the key difference is that POC’s design simply uses the pads on the helmet’s interior. We love the elegant solution, which integrates seamlessly, and that alone makes the Tectal Race one of the best helmets on the market. What pushes the Tectal down our list is its huge price tag. At more than double the cost of the Chronicle above and $70 more than the Sixer MIPS, it’s among the most expensive all-mountain options. The good news is that the Tectal is well rounded with high-end comfort, ventilation, and POC’s signature clean styling and attractive colorways. We just wish it were a little more affordable. What we like: Lightweight; comfortable fit. What we don’t: Ventilation is surprisingly subpar. A power player in the snowsports industry for over a decade, Smith made the push into cycling a few years ago with the high-end, mountain bike-specific Forefront. What Smith brought to the table was a new foam technology called Aerocore, which combines layers of EPS foam and Koroyd—a unique material that looks like a bunch of plastic straws glued together. 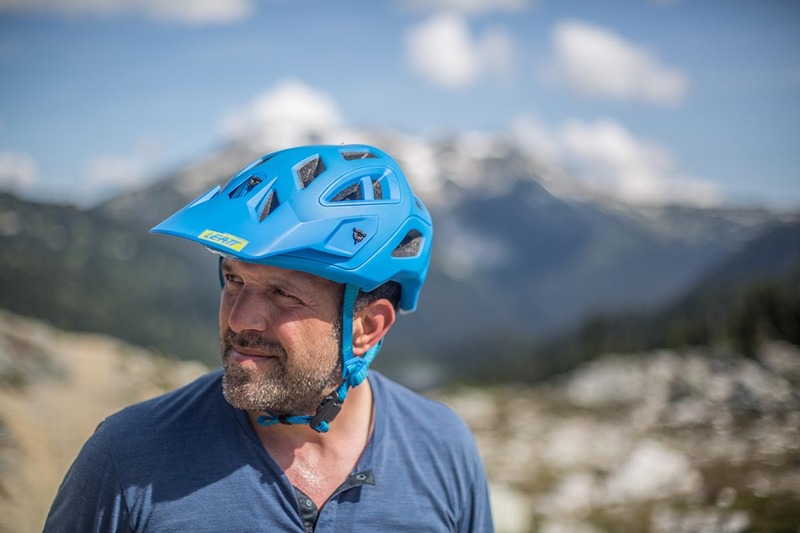 They claim it’s 30 percent better at absorbing low-speed impacts and it makes the Forefront among the lightest mountain bike-specific helmet on the market—as well as on this list. What we like: Plenty of coverage, MIPS tech, and well-ventilated. What we don’t: Not as good a value as the Chronicle above. Among Giro’s extensive mountain bike offerings, the Montaro sits in between the $100 XC and trail-riding Chronicle MIPS and the $250 downhill and enduro Switchblade MIPS. A popular choice since its release, the Montaro has a high quality feel in your hands—and most importantly, on your head. Everything from the super absorbent plush padding and secure Roc Loc retention system is high-end. In addition, the low-profile design has excellent coverage along the back of the head and top of the neck for aggressive riding, and the protection is complimented by an integrated action camera mount and well-designed ventilation system. Air is routed in through a series of large vents at the front and out the back like exhaust, and even the retention system is optimized to encourage airflow. As with the Smith Forefront above, price is what pushes the Montaro down our list. The Giro Chronicle proves that you don’t have to spend a ton to get a safe, comfortable, and secure helmet. There have also been a number of reports that the Montaro's nice-feeling padding doesn't hold up over the long term, although that hasn't been our experience. 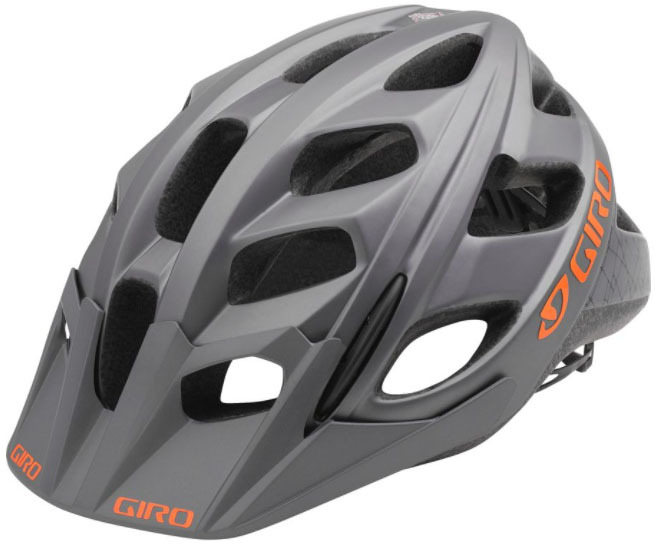 All in all, this Giro lid offers a boost in comfort and larger vents for riders that spend a lot of time in the saddle. What we like: Massive vents and full-face protection. What we don’t: Non-adjustable visor and bulky looks. Fox released their take on the growing lightweight full-face category a couple year ago with the Proframe MIPS. It’s a helmet we’ve started to see more and more of on the trails of the Pacific Northwest due to its appealing combination of protection, weight, and features. The massive vents dominate the styling and keep you decently cool (by full-face standards), and the MIPS liner adds a bit of security for a high-speed crash. Weight-wise, the Proframe is a couple ounces more than the TLD Stage helmet above, but easily undercuts Giro’s Switchblade (although it doesn’t have that design’s removable chinbar). With similar venting as the Stage and a lower weight than the Switchblade, the Proframe hits a desirable middle ground in the market. But it comes with a number of limitations, including a non-adjustable visor. Fox claims this is intended to optimize airflow, but omitting this feature is a deal breaker for some riders. The Proframe is also quite bulky looking compared with the sleek Stage, and the bulbous shape is rather noticeable on the trail. In the end, the Proframe falls a little short as a best-of-both-worlds concept. It can’t match the Switchblade’s versatility, and the TLD Stage has the better all-around feature set. What we like: Smith quality and a lightweight feel. What we don’t: Fit isn’t as universal as other helmets on this list; non-adjustable visor. For last year, Smith released the budget-friendly Venture with an eye towards the core XC and trail riding market. We wore the Venture alongside Smith’s own Forefront and the Giro Chronicle, and found that it offers competitive levels of comfort and easy adjustability with the large dial, but less protection at the back of your head. Further, the helmet feels very light and its 12-ounce weight (medium size) is great for full-day rides. The exhaust-like ventilation design at the back of the helmet is pretty wild looking, and we’re not sure it’s completely necessary, but it was good enough for our summertime adventures when temperatures were in the low 70s. What are the downsides of the Smith Venture MIPS? Based on our experience, the fit is less universally friendly than the Giro and Troy Lee Designs helmets above. The helmet didn’t have the same wide and deep fit and sat a little higher on our heads as a result (of course, this can be a positive for certain head shapes). 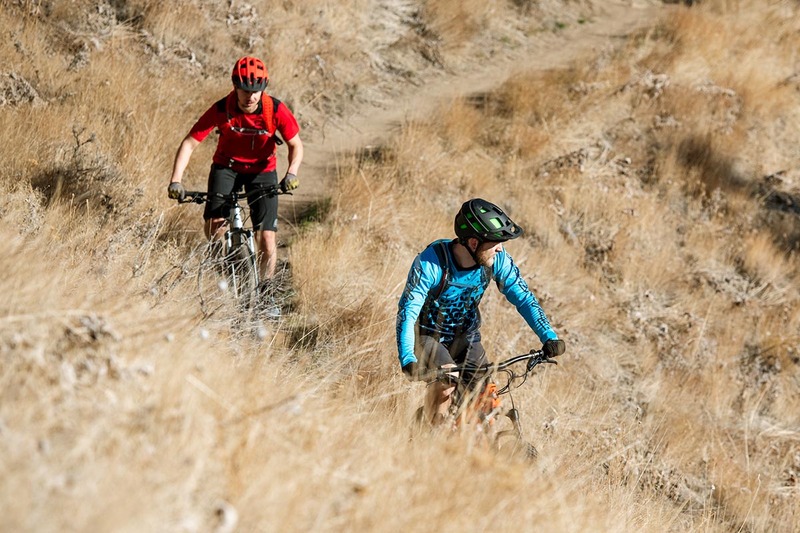 In addition, the visor isn’t adjustable for times when you don’t need the protection, which is a notable omission at a popular price point for all-mountain bikers. We also found the front of the helmet is prone to tipping down on our forehead, which combined with the non-adjustable visor, obstructed our sightlines during aggressive riding. Even with these shortcomings, we still think the Venture would make for a suitable warm weather or XC companion. What we like: Superlight feel, great price. What we don’t: Dated design = less coverage. 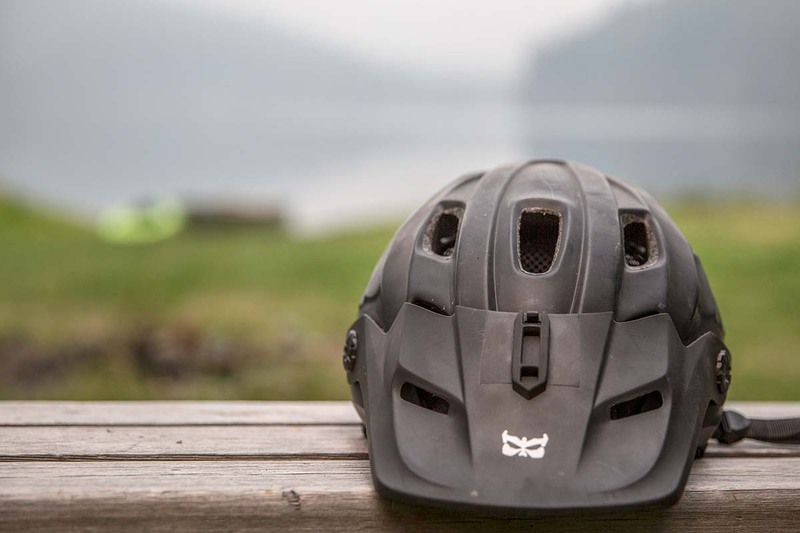 As evidence of how quickly mountain biking helmets have progressed, the Hex not long ago was a class leader in the all-mountain category but now it’s fallen to the bottom of our list. Why the downgrade? It’s an old design, plain and simple. The Hex is from a time (all of 6 or so years ago) when mountain biking helmets weren’t that differentiated from road helmets. 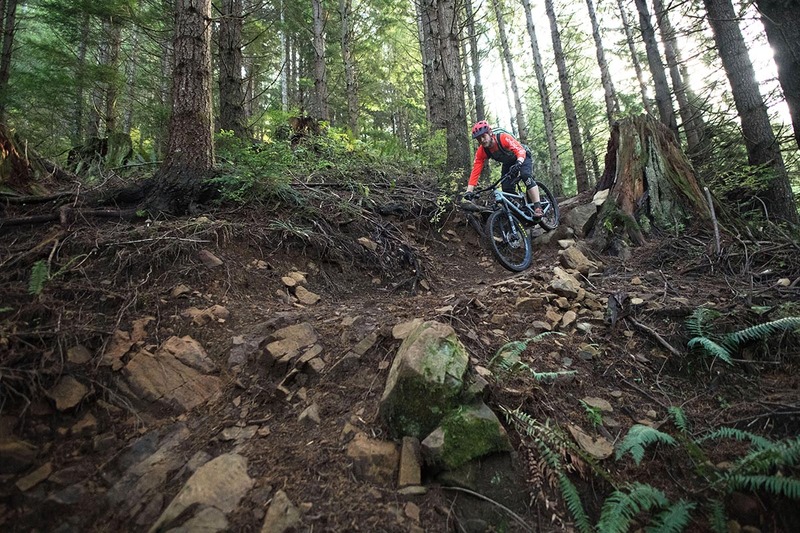 Unless you were planning on heading off to Whistler or racing downhill, lightweight XC builds were the go-to choice, and the Hex’s large vents, budget-friendly price, and decent coverage was all you would need. But as modern full-suspension bikes have made it easier for riders to tackle seriously technical terrain, the helmet market has shifted to react. And while we still enjoy our Hex for longer XC rides when weight and ventilation win out over absolute coverage (it remains a top choice for these uses considering its price), if you’ll be tackling rough trails, the helmets above offer better protection with a minimal weight penalty. One of the most significant shifts in mountain bike helmet design is the amount of head coverage real estate. Only a few years ago, reducing weight was the ultimate goal for most riders (and the big focus of manufacturers), so thin and open XC designs were the rage. Still today, when you’re covering a lot of ground and aren’t tackling anything too sketchy, airflow and a feathery feel wins out over absolute protection. That’s when a helmet like the POC Octal X SPIN is an excellent choice. It’s ultralight, airy, and still provides enough protection for less extreme conditions. The more technical demands facing all-mountain and enduro riders require a step up in protection from the XC category above. The ideal mix here is enough coverage around the temples, sides, and back of the head but with plenty of openings to move all that hot air on a climb. The Giro Chronicle is a great example of reaching nearly XC helmet levels of lightness but with a noticeable bump in safety. Additional shared characteristic in the all-mountain grouping include large visors, soft interior padding, and often price tags of $100 or more. This category is quickly growing in popularity, and most of the top designs on the market land here, including the Troy Lee Designs A2, Bell Sixer, and Kali Maya 2.0. If you’ll be seeing a lot of aggressive downhill time, we highly recommend erring on the side of a lot of coverage. At the extreme end are full-face helmets, which are great for enduro, downhill, and racing but turn into an absolute sauna if you have to do pretty much any pedaling. 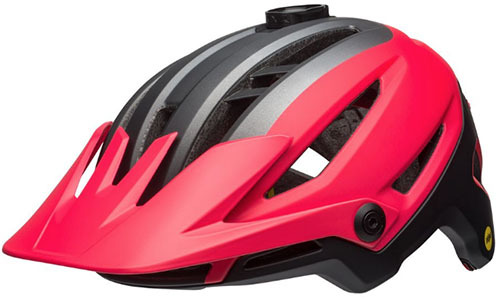 The Giro Switchblade MIPS with its removable chin guard is a nice hybrid option, but still falls short in terms of ventilation with most other half-shell all-mountain helmets. 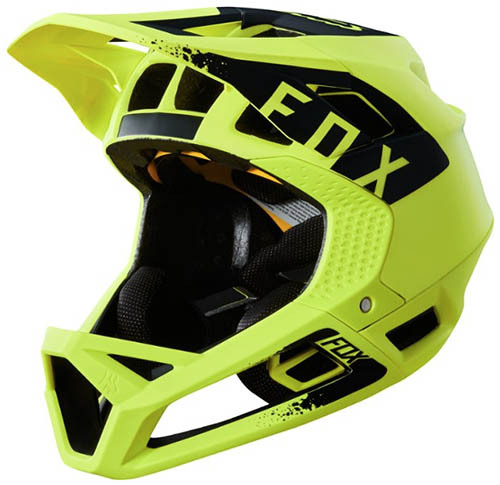 Fox's Proframe is another helmet that puts a big emphasis on breathability with its generously ventilated design. A lightweight helmet that you hardly notice on a long ride is a beautiful thing, but you do pay more for the barely-there feeling. It’s unfair to simply compare helmets by weight—old XC styles will win out just about every time—but when they offer similar protection, it’s a useful spec. And in general, the more you pay the lighter the helmet will be. 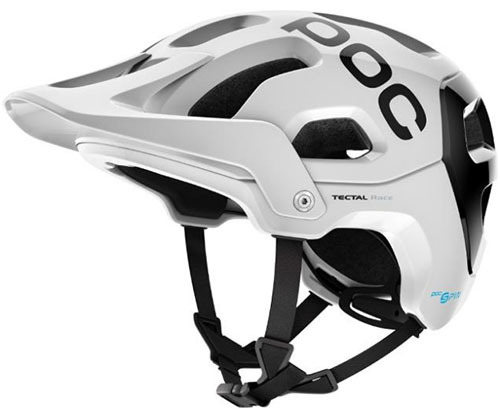 For example, the 14-ounce Bell Sixer MIPS is noticeably heavier than the 9.4-ounce POC Octal X. The core all-mountain market is full of options in the 13-ounce range, which is a great match for most riders. Further, how heavy the helmet actually feels on your head can be another thing altogether. In the case of the very light Octal, both the listed weight and feel are the same, but the similarly lightweight Giro Fixture can feel a bit more ungainly and heavier. Nearly all forms of mountain biking require good ventilation. Even at lift-assisted parks you can work up a good sweat on a pump track or pedaling on the flats (not to mention holding on for dear life on the downhill). Ventilation isn’t as simple as looking at the number of vents—although it’s a good place to start. A quality design will work as a system, moving air from the front to back. And this system should include the retention system and padding inside the helmet, both of which have the potential to interrupt the flow. 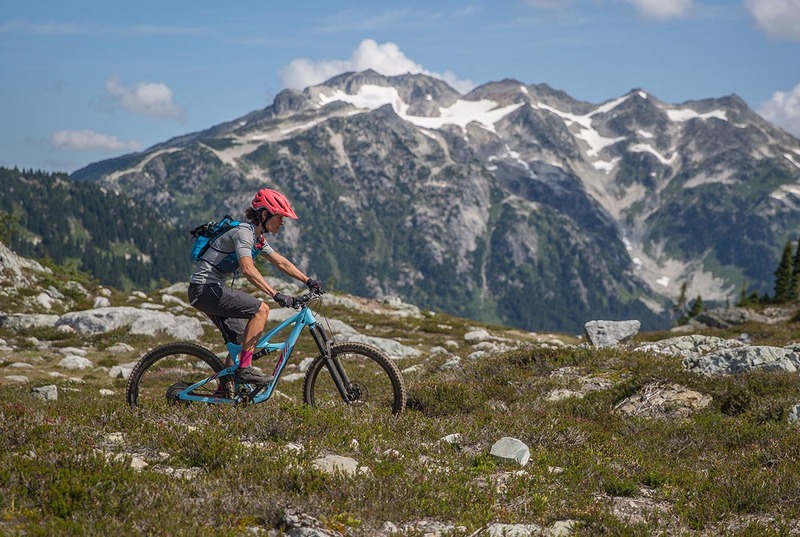 Helmets like the very open Smith Venture are top performers, and among the all-mountain helmets, the POC Trabec Race does remarkably well for having less surface area dedicated to venting. Fit is the single most important factor in a helmet purchase. When standing on your pedals and grinding up a hill, you don’t want the helmet to be constrictive and give you a headache at the end of the day. You also don’t want it to be so loose that it’s flopping around when trail roots and rocks make for a rough ride. Fortunately, helmets and their respective fit systems have made great gains. A single turn of the adjuster at the back of most helmets progressively cinches the fit around the head. Giro’s current Roc Loc is a standout in terms of ease of use, with a small but glove-friendly dial, as well as security. The goal is to click it in place and leave it alone until you wrap up your ride. Another factor is shell size: upgraded models come in a variety of sizes to better match the overall shape of the helmet to a person’s head. Base styles will be one-size-fits-all, at least theoretically, which typically means the fit is good enough for casual use but not great for those who need serious performance. Those with larger heads are okay with these one-size helmets because the shell has to be large to fit everyone, and the Giro Fixture is a good case-in-point. But if you’ll be on your bike a lot or plan to push your limits, we recommend spending the $60+ that it costs to get a helmet that comes in multiple sizes. Most of the helmets we have listed above are considered unisex and are intended for both men and women. There are, however, some women’s-specific designs that are differentiated by smaller diameter sizes, unique colorways, and sometimes a different name. Also, some women’s helmets are ponytail compatible, which is an important consideration for some riders. Giro has long been known to incorporate this feature, and we’ve found the design on the Montara MIPS is particularly functional. Importantly, the safety technology, pricing, and basic shape of the shell do not change with a women’s-specific build. Fit is what matters most in getting a helmet, so start by measuring your head circumference and then make your decision between unisex or women’s-specific after. When available, we have included a link to the women’s version of the helmet in the product specifications. Getting a properly-sized helmet is most important, but the padding along the interior plays a big role in overall comfort. And we’ve found the quality of the cushioning correlates closely with price, with more expensive models even including multiple sizes of pads for a custom-tailored fit (Troy Lee Designs’ Stage helmet is a perfect example of this). Cheap helmets lack the plush feel and can lead to occasional skin irritation over time. On the other hand, a soft interior like Leatts DBX 3.0 has fantastic cushioning, allowing you to nearly forget about the helmet altogether while riding. Another benefit of premium padding is sweat absorption—more expensive pads do a better job taking in sweat while on the trail. Finally, one feature shared across price points is that you can remove your liner for occasional cleaning. While some brands claim that you can machine wash them, we recommend gently hand washing to reduce the chance of breakdown of the material. 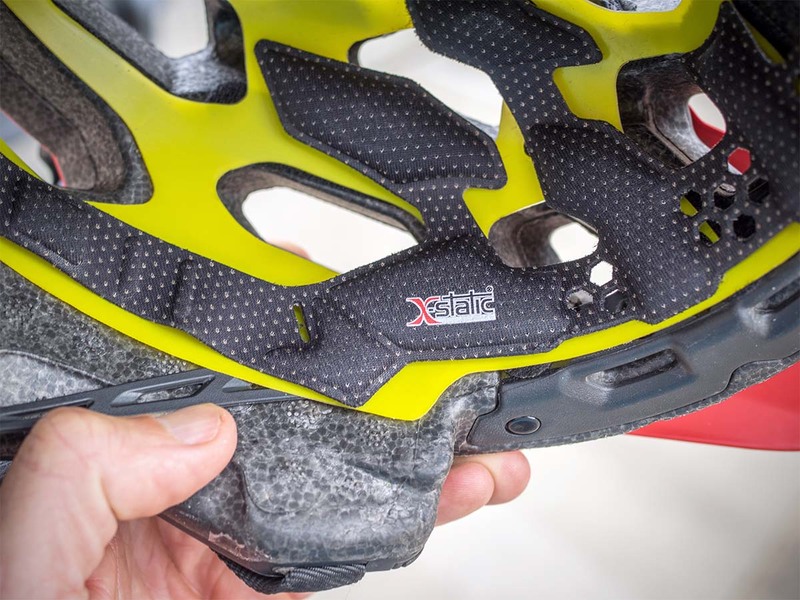 In-mold technology is found on nearly all mountain biking helmets. It combines a thin shell (often polycarbonate) with an EPS foam liner right from the start, and they’re molded together. What you get is an integrated piece that reduces weight, allows for cutouts for ventilation, and lets the helmet work as a single unit to absorb impacts. Some manufacturers, including POC, further beef up the in-mold helmet by inserting a grid of Armamid fibers into the core. The benefit of the synthetic material is extra durability and protection in a crash. There are a couple of completely new construction techniques, including Smith’s Aerocore that adds a layer of honeycomb-like Koroyd under the shell, but as of now nothing can compare with in-mold construction’s great combination of impact absorption and venting capabilities. You’ll find MIPS (Multi-directional Impact Protection System) listed on many helmet models like the Giro Chronicle, along with a price hike of about $20 to $30. What are you getting for the extra cash? Extra noggin protection for angled hits is the claim. MIPS technology works by creating a low friction layer between the helmet’s shell and soft liner. We’ve removed our MIPS liners and it’s impressively simple: there’s one thin plastic layer that connects to the helmet with a few small tabs. When hit at an angle, the MIPS layer in theory lets the shell move just enough to help relieve the rotational forces on the head and brain. MIPS put slip plane technology on the map, but a growing number of alternatives have emerged over the past couple years. 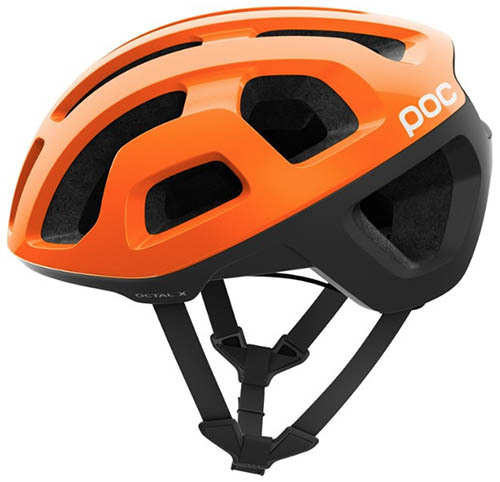 From the list above, POC’s latest Tectal Race helmet features SPIN. This system is beautifully simple, using the pads on the interior to reduce rotational forces on the brain. Leatt’s DBX 3.0 has 360° Turbine Technology, which inserts circular flexible pads into the liner that both absorb energy and help with angled impacts. As with MIPS, it’s tough to say that one design is safer than the other—or even to definitely prove that the technology is worth it. But the science is continuing to mature, and we’re happy to see more companies investing in this important safety research. As mentioned above, current safety standards just tell us whether or not a helmet passes their tests (every helmet on our list does), but don’t go beyond that. And the topic of MIPS is hotly contested among industry experts. How often MIPS technology is a safety benefit is difficult to quantify and we haven’t found any solid evidence-based research, but indications point to it being an extra safety measure to protect your head (how much that’s worth is up to you). For more information on MIPS, we’ve found this article by the Bicycle Helmet Safety Institute to be an unbiased and helpful resource. Mountain bike helmets are differentiated from road biking models by their greater head coverage and the addition of a visor. Regarding the latter, a large visor is great for keeping the sun out of your eyes and offers extra protection from rain and even low hanging branches. There are differences in the shapes—Troy Lee Designs’ A2 visor is wide and relatively short while Giro’s Chronicle and Leatt's DBX 3.0 are narrow and long—but large moto-inspired bills that stick out nearly as far as a baseball cap are becoming the norm. The second feature with a visor is adjustability. 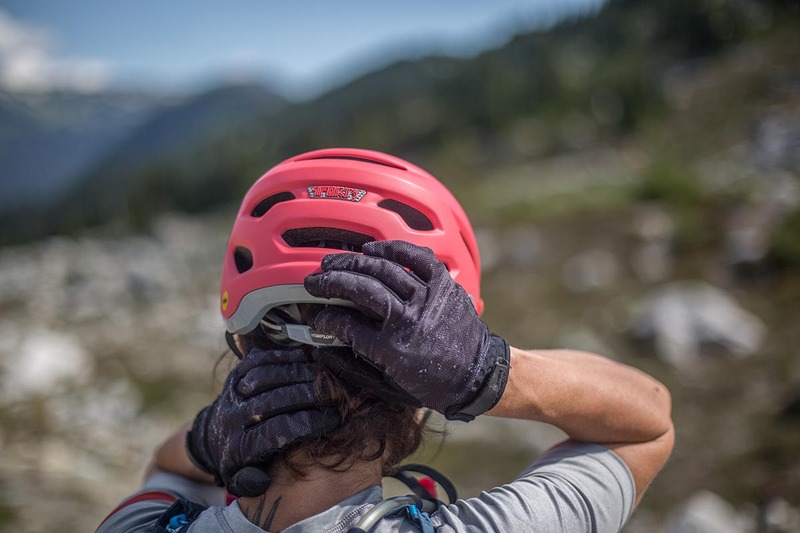 The benefit of this style of visor is that you can push it out of the way if you want completely unobstructed views of the trail or need to store your goggles on the helmet when not in use. 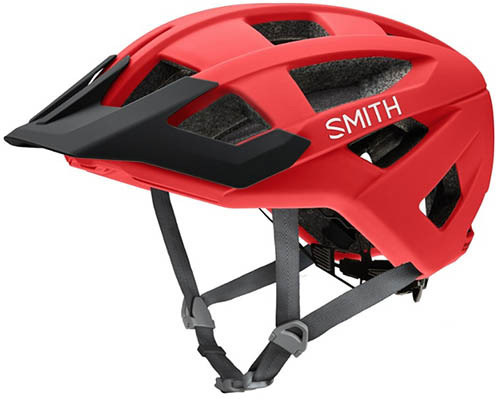 This is a common feature on all-mountain helmets, but less so on XC-focused designs (including the Giro Hex and Smith Venture). It’s important to note that not all helmets with an adjustable visor have the same amount of adjustability—Troy Lee Designs’ A2 slides up and down but doesn’t leave enough space for goggles. Whether or not this is an important feature is a personal decision, but the differences are worth considering when choosing your next helmet. Standard glasses are the most common type of eyewear for mountain bikers, but the increased coverage and protection you get with goggles are popular with enduro and downhill racers. To start, you don’t necessarily need a bunch of features to ride with goggles—if they fit under the bill of the helmet and the shape of the shell does a good job keeping the straps in place, you can wear them just fine. Troy Lee Designs' A2 is a great example of a helmet that isn’t technically optimized for goggles but still works well. There are a couple helmet features, however, that can make it easier to accommodate goggles. To start, a highly adjustable visor makes it simple to place your goggles at forehead height when not in use (such as on a long climb). 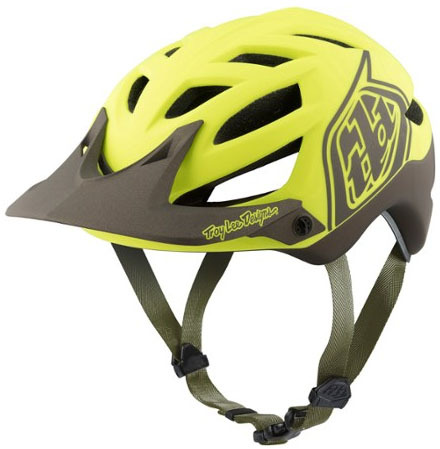 Moreover, some all-mountain and downhill helmets include a retainer strap or system at the rear of the helmet to keep the goggle straps in place. 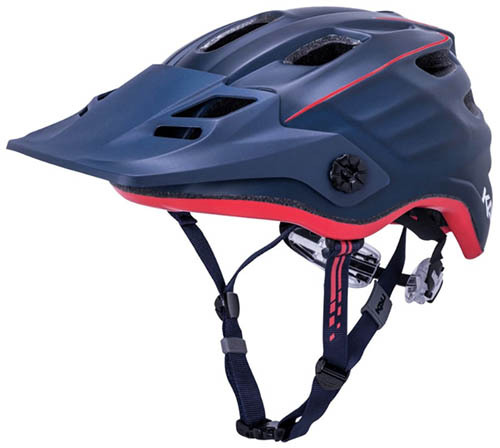 Note: it’s best not to assume an all-mountain helmet will have these features as some popular models like the Troy Lee Designs A2 doesn’t have a very adjustable visor. One helmet that puts it all together is Bell's Sixer MIPS: the visor can be quickly moved out of the way and there is a rubberized piece on the back of the helmet to keep the straps in place. Mountain biking is closely linked to the rise in the action camera market, and a helmet mount offers a fun, first-person perspective. Most action cameras like the various GoPro models and Garmin’s VIRB include a sticky mount that can attach directly onto helmets with a smooth space at the front. Heavily ventilated helmets may need a little modification to work, but GoPro, Garmin, Sony, and others sell strap systems that slot through the vent openings to hold everything in place. Taking this a step further, some high-end helmets have a built-in action camera mount. This takes some of the guesswork out of getting the ideal camera angle and saves you from having to use one of your sticky mounts. The system on Giro’s Montaro MIPS is stable and designed to break away in a crash. We certainly wouldn’t make our helmet choice just based on this feature—keep in mind that you can attach an action cam to your handlebars or use a chest mount—but they are an unobtrusive and smart solution for those willing to pay a little extra. Similar to the above considerations involving cameras, mounting a light to your helmet is a great way to extend your riding season. For these purposes, we prefer models with built-in mounts, like the Bell Sixer MIPS. In general, we’ve found they provide a more secure fit and are the easiest to attach. 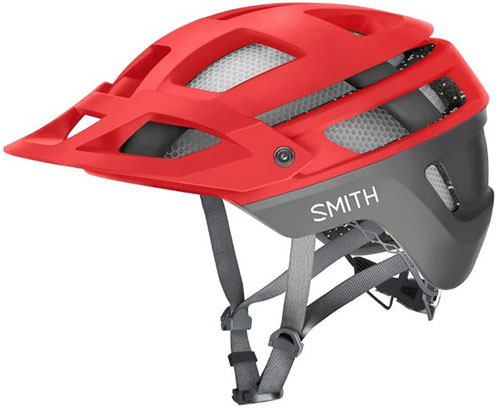 Many helmets over $150 include an adapter or integrated mount, but there are exceptions (including Smith’s Forefront 2, which requires purchasing a $15 mount kit). Another way to attach a bike light is feeding the straps that come with most lighting systems through the vents of your helmet. Depending on the size and location of the openings, this can be a fairly tedious but still effective way of securing a light. The decision to replace an old helmet isn’t always a clear one—and there are still debates to this day about when’s the perfect time. To start, helmets do have a shelf life, so it’s never a good idea to grab your old lid that’s been collecting dust for the past decade without at least taking a good look at it. It’s a good idea to start with the following: can you see any cracks in the foam? Are there any signs of deterioration on the outer shell or inner lining? If anything looks questionable, we recommend erring on the side of caution and replacing it. For the nitty-gritty answer, there have been a number of tests done to pin down the ideal lifespan. And while there isn’t a hard-and-fast rule, most manufacturers stick to 3 to 8 years. If you ride a lot, there’s a good chance you’ll be replacing it towards the earlier end. For the helmet that’s been sitting for a while, considering the changes in fit and safety technology, buying a new helmet will surely be an upgrade even if your old one still is technically functional. The rule for replacing a helmet after a crash is far simpler. If you crashed and the impact is significant, the foam inside will be compromised, which diminishes its performance for future crashes. So replace it. In all seriousness, it’s not worth making excuses to avoid replacing a helmet. If it’s old or has been knocked around, get a new one.